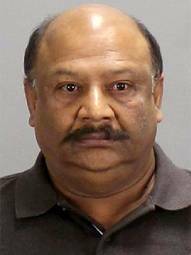 Psychiatrist Narendra Nagareddy from Jonesboro, Georgia, referred to by police as “Dr. Death,” was arrested after 36 of his patients died, with at least 12 killed by overdose on prescription drugs. Nagareddy is a top state prescriber of several highly addictive benzodiazepines, such as Xanax, and antipsychotics, including clozapine, a drug so potentially dangerous it requires doctors and pharmacists to register with a program that monitors the drug’s use. His arrest prompts calls for greater oversight of psychiatrists with high prescription practices, a request made by Citizens Commission on Human Rights International to Georgia state legislators in October 2015 in relation to psychiatrists affiliated with a chain of behavioral centers. In 2013, Nagareddy wrote 19,766 prescriptions, including refills, for 833 patients under Medicare. According to ProPublica records from Medicare alone, in 2013, Nagareddy wrote 19,766 prescriptions, including refills, for 833 patients under Medicare Part D with a retail cost of $1.53 million. His top eight prescribed drugs and number of prescriptions included the highly addictive benzodiazepines: alprazolam (generic of Xanax, 1,534 prescriptions), clonazepam (generic of Klonopin, 1,281) and lorazepam (generic of Ativan, 795); the antipsychotics risperidone (generic of Risperdal, 1,334), clozapine (generic of Clozaril, 1,270), olanzapine (generic of Zyprexa, 1,127) and quetiapine fumarate (generic of Seroquel, 774), and the antidepressant fluoxetine HCL (generic of Prozac, 777). For the state of Georgia, Nagareddy was the top prescriber of alprazolam and clozapine, the second highest prescriber of olanzapine, fourth highest prescriber of risperidone and third highest prescriber of the generic of Prozac. Among other top state prescribers of these and other psychotropic drugs are psychiatrists affiliated with behavioral facilities owned by Universal Health Services (UHS). Nagareddy is not associated with UHS. But fifteen psychiatrists affiliated with UHS behavioral facilities in Georgia had prescription retail costs under Medicare Part D of $10.8 million, with one psychiatrist from Atlanta totaling $1.5 million in prescription costs for 17,782 prescriptions. That psychiatrist was the top state prescriber of two stimulants, generics of Adderall and Vyvanse. He was also the fifth highest prescriber of alprazolam and top prescriber of Suboxone, used to treat opiate addiction. Nagareddy was the eleventh highest state prescriber of Suboxone and top state prescriber of alprazolam. Another UHS affiliated psychiatrist had $2.9 million in prescription retail costs for 23,750 prescriptions to 1,545 patients and was the top state prescriber of six antipsychotics, one of which—olanzapine—Nagareddy ranked second. Nagareddy ranked as the No. 4 prescriber of risperidone. Independent of Nagareddy, Georgia also had five psychiatrists among the top five national prescribers of antidepressants and antipsychotics. A former healthcare fraud investigator advised CCHR to report high prescribers of psychotropic drugs, alleging this could be a potential red flag for abuse and fraud. Anyone with such information can report this to CCHR.